Oh my goodness...stop the presses! As I put together a PDF to share with you today, I realized that I flip-flopped by column titles where I gave the dimensions you need for the box top and bottom pieces. Big, big opps! I've made the correction in yesterday's and of course the PDF is accurate. Apologies to anyone who tried this yesterday and had trouble making the pieces fit! And, in other big news (and in my mind worthy of stopping the presses), I actually have a video to share with you today! I'm a visual learner and suspect some of you are too, and, as such thought a video might be helpful! Grab your favorite beverage and make yourself comfy to watch a little 5-minute box making demonstration! And now, download the free "creating card stock boxes" PDF and add it to your paper crafting library. Hopefully these tools will make it easy for you to create boxes for giving away handmade cards and tags as gifts! Now that these resources are done, time to turn my attention to creating a better backdrop for recording videos! What would you like to see behind me in upcoming videos? 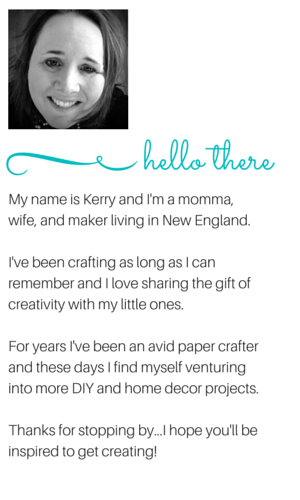 If you enjoy what you see here on Peonies and Paper Chains, please like and pin so that your friends can share in the paper crafting fun!